When Kate Torgersen was returning home from a business trip in 2014, she was toting two gallons of her own breast milk. The mom of three had been away from her newborn twins for the first time since returning from maternity leave and was determined to pump--even while out of town. 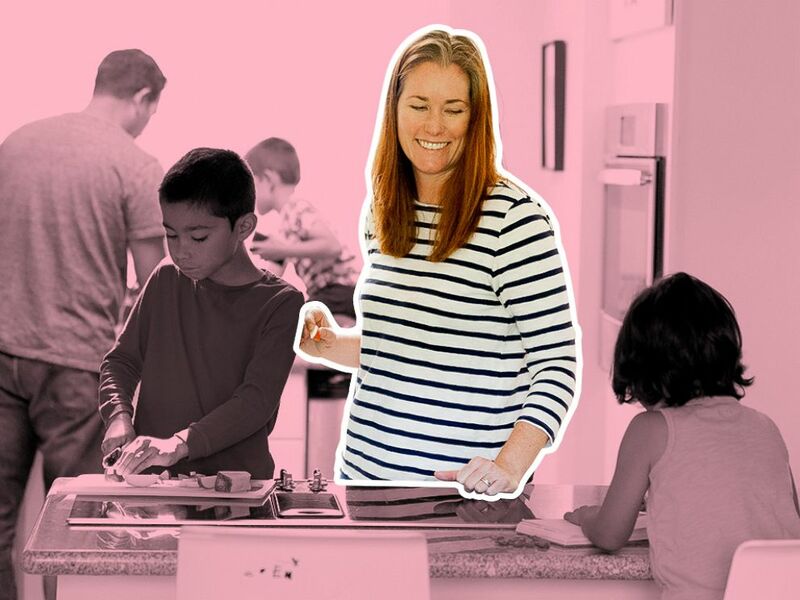 "It wasn't the most important business trip in the world-- but as a working mom you want to be all in," Torgersen of Lafayette, California, told "Good Morning America." "I headed to TSA with this sloshing, soft cooler of breast milk and ice and then I had to kind of explain to a TSA agent why I had so much [of it]." She went on, "While I'm on the plane, I have this bag and I'm like, 'please dont drip, or melt or thaw and don't lose all that time and effort I did making that milk." According to the TSA's website, formula and breast milk are permitted in reasonable quantities but will be screened by X-ray. In some cases, TSA officers may need to test liquids for explosives. Torgersen, who recently wrote a column about her ordeal for Time.com, said she nearly missed her flight after going through inspection and later rushed to an airport bar so she could replenish the ice bags to keep her milk cold. "To be frank, I was angry of the challenges of that experience and I was determined to find a solution," she explained to "GMA." Torgersen contacted her father, Mike Torgersen, who is a Silicon Valley veteran. The pair put $25,000 of their own money into a bank account and began building Milk Stork -- a breast milk transportation service that enables career-minded moms to ship their milk from a hotel back home for baby. Today, Milk Stork has grown to 125 corporate clients. "It's so important because the experience of a woman in a workplace is different than for a man and for many women, that includes breastfeeding," Torgersen said. "I'd say we are tens of thousands of moms and hundreds of thousands of ounces of breast milk," Torgersen said. Seven-in-10 mothers who have kids younger than 18 were in the labor force in 2015, according to Pew Research. And as Torgersen mentions in her Time essay, 47 percent of the U.S. workforce is female with breastfeeding rates still on the rise. 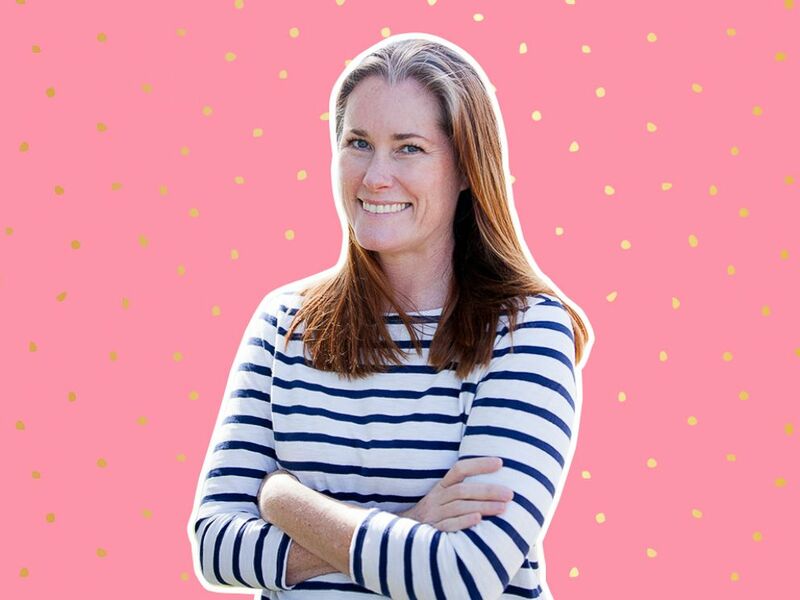 Kate Torgensen of Lafayette, California, created Milk Stork--a service that'll ship your breast milk to your family overnight while you're away on business. The experience of a woman in a workplace is different than for a man. "Speak to any breastfeeding mom who has had to travel for work, and she’s likely to have at least one breastfeeding survival story similar to mine," she writes. Lee Ann Hutchings, a mom of three and a customer engagement executive at SAP, has been using Milk Stork while she travels for work. "For anyone who has ever traveled, pumped, nursed--it's an overwhelming, logistics nightmare," Hutchings told "GMA," adding that her company offers Milk Stork to their employees. "I knew it was an easy process. I even took pictures [of the Milk Stork package] and snapchatted to all of my friends. It was such a relief." 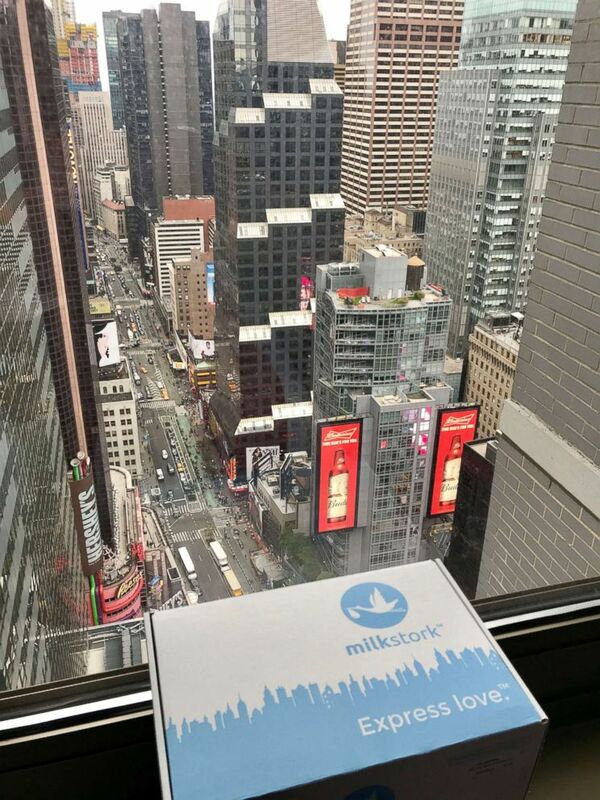 The Milk Stork box is essentially a cooler that is shipped directly to your hotel before you arrive. All women need are their pumps. The box already comes with breast milk storage bags and the package is pre-labeled and post-paid. Choose a "pump and tote" option to carry through TSA without stressing about keeping the milk cold, or pump and ship the milk to your family overnight while you're away on business. Stephanie Stone, senior manager of distribution and business development at Viacom, told "GMA" that her milk was still cold after 24 hours when she returned home from a business trip. I never would have thought breastfeeding twins would have put me in a place where I started a company to help breastfeeding moms. "It was so nice to be able to ship the package out at my destination and not have to worry about bringing my milk through security, on the plane or how to keep it cold during the flight back," Stone wrote in a statement. 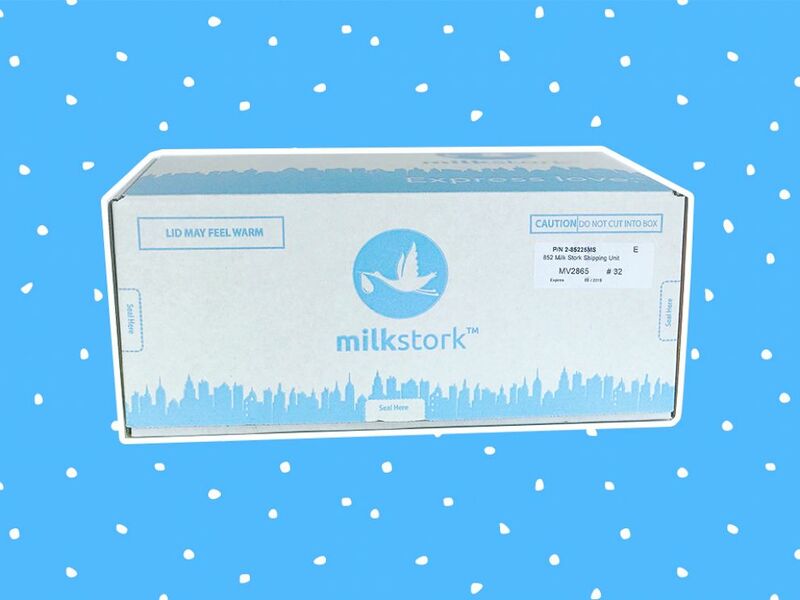 In addition to SAP and Viacom, OpenTable, Boston Scientific, SnapChat, GoDaddy, PayPal, Nissan and Home Depot provide Milk Stork to their staff members. Torgersen said, "I never would have thought breastfeeding twins would have put me in a place where I started a company to help breastfeeding moms." On their website, FedEx advertises their cold shipping package that will safely transport your breast milk. The service appears to operate similarly to Milk Stork, but does not include breast milk storage bags.